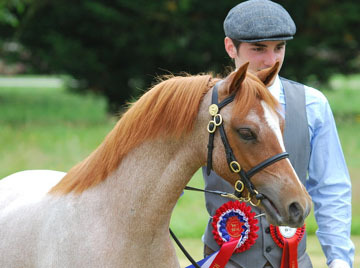 Welsh ponies and large part-breds, bred for type, temperament and movement with the ability and conformation to perform and excel in all disciplines. 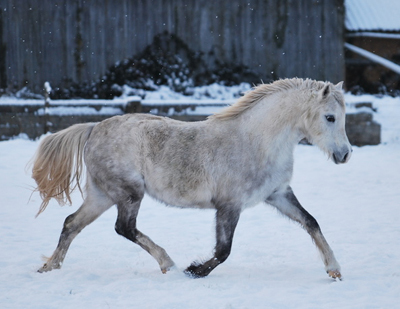 Ponies from this stud have been exported to Canada, Sweden, France, Denmark, Holland and Belgium. with Perlen's daughter WAXWING PERSUASION. As I am continuing westwards with my Long Horse Ride across North America, most of my best mares remain on loan. Pili-pala has returned home, but Polaris Columbine has gone on loan to Caroline and Jessica Cox of the Capella Stud, Bedfordshire. 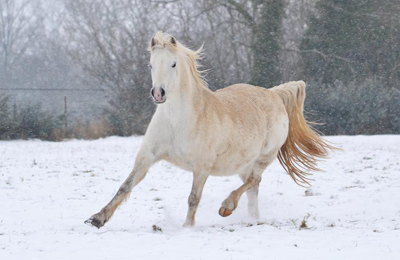 She is now in foal for 2015 to their stallion Eyarth Braveheart, who was placed 3rd at the 2014 Royal Welsh. She has already won a couple of championships and achieved a WPCS medal. 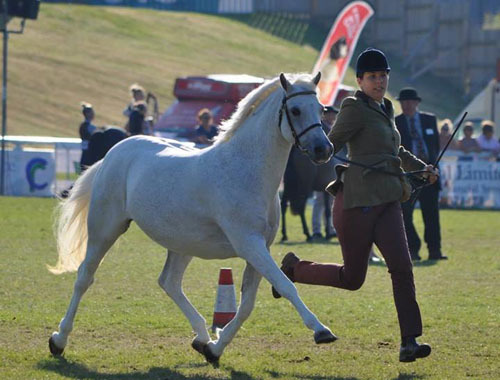 The photo on the left shows her in full flight with Jessica at the 2014 Royal Welsh. 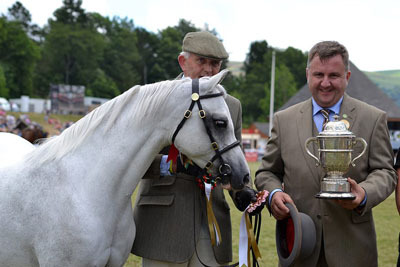 Judge Meirion Davies presenting the Coed Coch cup for the Champion Welsh Pony to Perlen and handler Tom Best.Perlen also won the Queen's Cup which is presented to a different livestock section every year. Youngstock out of Perlen's full sisters Glain and Colomen (who have also been on loan), also aquitted themselves well. Coriolan de L'Aurore third in the yearling colt class, and Waxwing Glimmer fourth in the three year old colts. 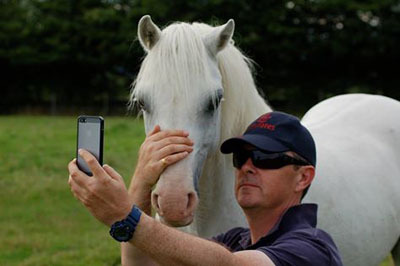 June 2013 Cwrtycadno Cyfrinach will be off to the USA next year to join the brood mares at the Lorelei stud, Georgia. Blwyddyn Newydd Dda for 2013! January 15th 2013. Robert Jones of the Butleigh Stud has contacted me to let me know that due to unforseen circumstances the three year old colt Cwrtycadno Rhion (born 2010) is available for lease to an approved home - a rare opportunity to use a stunning colt of impeccable breeding. 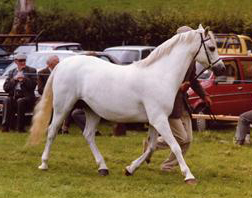 He is by our stallion Cwrtycadno Cymro, and out of Cwrtycadno Rhosyn-y-mynydd (by Royal Welsh Champion Carwed Charmer out of Royal Welsh Female Champion Talhaearn Eirlys y Pasg). Thus all four grandparents are Royal Welsh Champions! 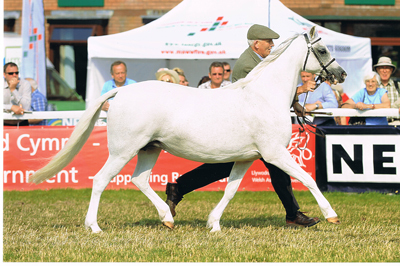 I am thrilled that my brood mare Cwrtycadno Perlen was Reserve Champion Female Section B at the Royal Welsh show. and who did such a good job of producing her. 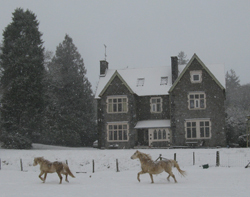 January 25th 2011 Wishing Oliver Haran Jones of the Butleigh stud every success with his new purchase, the colt Cwrtycadno Rhion (Cwrtycadno Cymro x Cwrtycadno Rhosyn-y-mynydd). October 21st 2010. Home safe and sound from 2010 leg of The Long Horse Ride (see below for web links) I am happy to report that I am now halfway across Kazakhstan and halfway from Beijing to London! On the next leg starting in April this year, I will be riding 1000 miles across Kazakhstan to reach Europe. I am raising money for the charity www.schoolchildrenforchildren.org . Please support me by donating to my Justgiving account at www.justgiving.com/meganlonghorseride. £10 will sponsor me at 1p a mile, but any donations however small (or large!) are most welcome. as administation costs are covered via separate sponsorship. October 2010. Congratulations to Anais Fefebvre on winning the Reserve Supreme Championship at the Breviares regional show in France with Cwrtycadno Rhys. 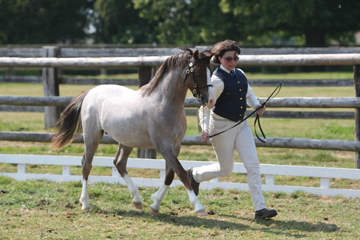 The judges commented that he would have deserved to win the Supreme if he had not been castrated! June 23rd 2010. I have just arrived back from crossing China by horse - see bottom of page. While I have been away, two healthy foals have arrived, a filly and a colt by Cymro out of Columbine and Rhosyn-y-mynydd respectively. I hope to get photos up on the website as soon as possible. The colt is stallion potential and will be for sale at weaning. and it will be exciting to see the stock he sires during his time abroad. and full sister Cwrtycadno Iarlles has settled in at the Mynyddgraig stud, a little closer to home. We wish their new owners every success with them in the years to come. at the Welsh Pony and Cob Society large Part-bred Awards for the second year running. !! BLWYDDYN NEWYDD DDA 2010!! 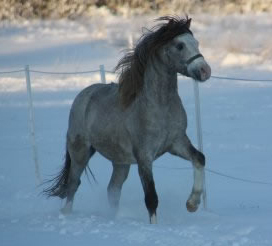 And here is 3 year old colt Joelsbo Merfyn in the snow in Sweden - the first foal of Cwrtycadno Meredydd! from one end of the Great Wall of China to the other! See bottom of page for link to my ride website. Although it was a wonderful experience, it was great to be back with my own friendly ponies. Here I am below with Polaris Columbine. 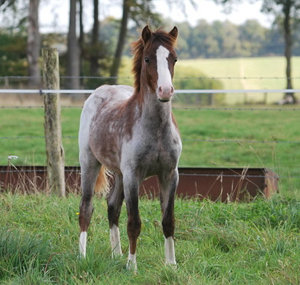 October - 2009 colt foal Cwrtycadno Comed has travelled to his new home in France as a future stud stallion for the De L'Aurore stud. 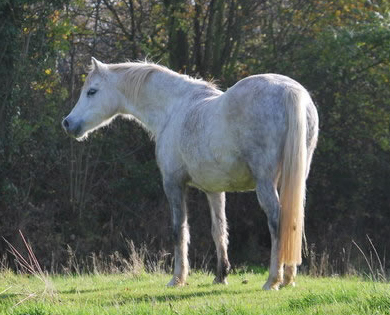 With him has gone the young mare Cwrtycadno Colomen (both shown below in France) who is on loan there while I am travelling. 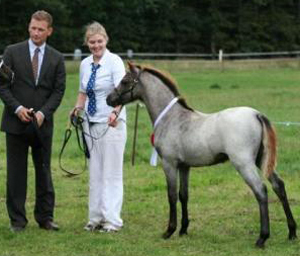 Cwrtycadno Sadwrn's first foal Mirain Toy Soldier to his first show where he was Best in Show. 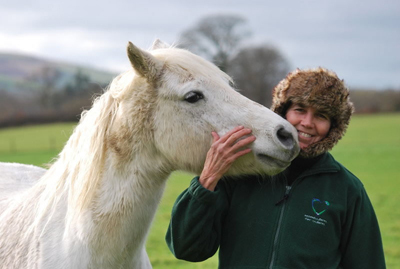 28th June 2009 - Wian Dawlish has at last had her foal by Cwrtycadno Cymro. Unfortunately we have not yet been able to get near enough to determine if it is a colt or a filly, (Dawlish is known as Wian Seldom Seen by certain members of the Section B fraternity!) but it looks healthy from afar! 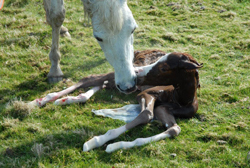 Stop Press : It is a COLT and thus for sale! 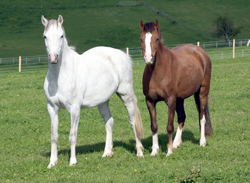 We usually have a selection of homebred stock for sale each year of all ages. but can be contacted at the e-mail address above.